A recent report by the UN special rapporteur on torture charged that compulsory drug treatment centers in some countries, particularly Vietnam and Thailand, constitute "forced labor" camps that engage in "torture." Long-time addiction writer Maia Szalavitz wrote about this in Time last week , and Phil did in our newsletter last Monday . The report is online here . The issue is not a new one, having been raised by Human Rights Watch in September 2011 . HRW detailed forced labor, worker pay getting taken by the centers or staffs, inmates getting beaten, even bones broken, if they didn't comply with instructions. In September 2010, the Government of Viet Nam issued a decree on the strengthening of family-based and community-based drug treatment and rehabilitation services. 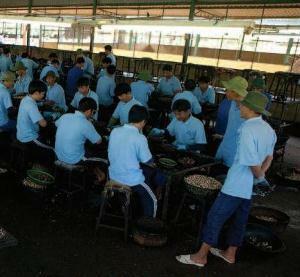 In March 2011, the Ministry of Public Security of Viet Nam adopted measures to improve the collection and analysis of drug-related data. In June 2011, the Government of Viet Nam adopted the national strategy on drug control and prevention for the period ending in 2020. Based on that strategic document, the national target programme for the period 2011-2015 was developed to address drug-related issues in the country. The Board welcomes the steps taken in Viet Nam to improve the treatment and rehabilitation of drug abusers and the efforts made in participating in different projects sponsored by [the UN Office on Drugs and Crime, UNODC] in that area. The Board encourages the Government to reinforce and support existing facilities as well as to undertake capacity-building in the field of treatment for drug abusers. The Government of Viet Nam launched its new national drug control and crime prevention strategies in July 2012. The strategies highlight the need for a comprehensive national response that combines effective law enforcement, drug abuse treatment and rehabilitation measures that allow for better integration of former drug dependent persons into society and the active participation of communities in crime prevention. I understand that any system involving confinement has the potential for abuse, in the best of times and places, and that any one report on a subject can miss the mark. But we have allegations from a respected organization, and now from the UN itself, of systemic abuses, of a degree of seriousness that would seem to invalidate the entire project. Presumably international funding is in the mix at well. So why not even a word about it, from the self-described "quasi-judicial body" overseeing the international drug control regime? Open Society Foundation's Joanne Csete noted comments by the late Hamid Ghodse , then INCB chairman, at the Commission on Narcotic Drugs last year, disclaiming any role for human rights concerns in the drug treaties or his agency. But that is not the stated position  of the other main UN drug agency, UNODC. So do we have a scandal in the making -- or better yet, an opportunity to reform the international drug control regime? http://www.facebook.com/sharer.php?u=https://stopthedrugwar.org/speakeasy/2013/mar/14/international_narcotics_control&amp;t=Is the International Narcotics Control Board Ignoring Human Rights? http://www.stumbleupon.com/submit?url=https://stopthedrugwar.org/speakeasy/2013/mar/14/international_narcotics_control&amp;title=Is the International Narcotics Control Board Ignoring Human Rights? http://reddit.com/submit?url=https://stopthedrugwar.org/speakeasy/2013/mar/14/international_narcotics_control&amp;title=Is the International Narcotics Control Board Ignoring Human Rights?